This application claims priority to U.S. Provisional Application Serial No. 60/300,116 filed on Jun. 22, 2001.
n is 0-5; o is 0-3; p is 0 or 1; q is 0-10; r is 0-3; s is 0-3;C 6H4 unsubstituted or substituted with a C1-10 alkyl or alkenyl; A and A′ are each independently a linking moiety representing an ester, a keto, an ether, a thio, an amido, an amino, a C1-4 fluoroalkyl, a C1-4 fluoroalkenyl, a branched or straight chained polyalkylene oxide, a phosphate, a sulfonyl, a sulfate, an ammonium, and mixtures thereof; L and L′ are each independently a C1-30 straight chained or branched alkyl or alkenyl or an aryl which is unsubstituted or substituted; Z is a hydrogen, carboxylic acid, a hydroxy, a phosphato, a phosphate ester, a sulfonyl, a sulfonate, a sulfate, a branched or straight-chained polyalkylene oxide, a nitryl, a glyceryl, an aryl unsubstituted or substituted with a C1-30 alkyl or alkenyl, a carbohydrate unsubstituted or substituted with a C1-10 alkyl or alkenyl or an ammonium; G is an anion or cation such as H+, Na+, Li+, K+, NH4 +, Ca+2, Mg+2, Cl−, Br−, I−, mesylate or tosylate. where each R is a methyl or ethyl group and preferably each R 1 is in the range of C15 to C19. wherein R 1 is derived from oleic acid is available from Witco Company. An example of Compound (6) is 1-methyl-1 -oleylamidoethyl-2-oleylimidazolinium methylsulfate wherein R 1 is an acyclic aliphatic C15-C17 hydrocarbon group, R2 is an ethylene group, G is a NH group, R5 is a methyl group and A31 is a methyl sulfate anion, available commercially from the Witco Corporation under the trade name Varisoft® 3690. 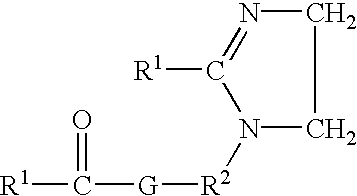 An example of Compound (7) is 1-oleylamidoethyl-2-oleylimidazoline wherein R 1 is an acyclic aliphatic C15-C17 hydrocarbon group, R2 is an ethylene group, and G is a NH group. wherein R 1—C(O) is oleoyl group of a commercially available oleic acid derived from a vegetable or animal source, such as Emersol® 223LL or Emersol® 7021, available from Henkel Corporation, and R2 and R3 are divalent ethylene groups. wherein R 1—C(O) is oleoyl group, available commercially from the Witco Corporation under the trade name Varisoft® 222LT. wherein R 1—C(O) is oleoyl group of a commercially available oleic acid derived from a vegetable or animal source, such as Emersol® 223LL or Emersol® 7021, available from Henkel Corporation. Examples of Compound (12) are the monoalkenyltrimethylammonium salts such as monooleyltrimethylammonium chloride, monocanolatrimethylammonium chloride, and soyatrimethylammonium chloride. Monooleyltrimethylammonium chloride and monocanolatrimethylammonium chloride are preferred. 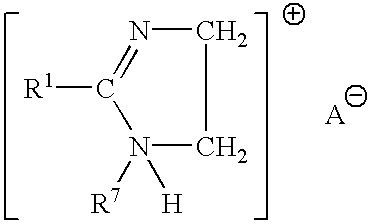 Other examples of Compound (12) are soyatrimethylammonium chloride available from Witco Corporation under the trade name Adogen® 415, erucyltrimethylammonium chloride wherein R 1 is a C22 hydrocarbon group derived from a natural source; soyadimethylethylammonium ethylsulfate wherein R1 is a C16-C18 hydrocarbon group, R5 is a methyl group, R6 is an ethyl group, and A− is an ethylsulfate anion; and methyl bis(2-hydroxyethyl)oleylammonium chloride wherein R1 is a C18 hydrocarbon group, R5 is a 2-hydroxyethyl group and R6 is a methyl group. An example of Compound (14) is 1-ethyl-1-(2-hydroxyethyl)-2-isoheptadecylimidazolinium ethylsulfate wherein R 1 is a C17 hydrocarbon group, R2 is an ethylene group, R5 is an ethyl group, and A− is an ethylsulfate anion. In the cationic nitrogenous salts herein, the anion A −, which is any softening active compatible anion, provides electrical neutrality. Most often, the anion used to provide electrical neutrality in these salts is from a strong acid, especially a halide, such as chloride, methylsulfate, bromide, or iodide. However, other anions can be used, such as ethylsulfate, acetate, formate, sulfate, carbonate, and the like. Chloride and methylsulfate are preferred herein as anion A.
wherein R 1 is C8-C16 alkyl, each of R2, R3 and R4 is independently C1-C4 alkyl, C1-C4 hydroxy alkyl, benzyl, and -(C2H40)xH where x has a value from 2 to 5, and X is an anion. Not more than one of R2, R3 or R4 should be benzyl. wherein R 8 is an alkyl group or an alkyl aryl group, selected from the group consisting of primary, secondary and branched chain alkyl hydrocarbyl groups, primary, secondary and branched chain alkenyl hydrocarbyl groups, and/or primary, secondary and branched chain alkyl-and alkenyl-substituted phenolic hydrocarbyl groups having from about 6 to about 20 carbon atoms, preferably from about 8 to about 18, more preferably from about 10 to about 15 carbon atoms; s is an integer from about 2 to about 45, preferably from about 2 to about 20, more preferably from about 2 to about 15; B is a hydrogen, a carboxylate group, or a sulfate group; and linking group Z is —O—, —C(O)O—, —C(O)N(R)—, or —C(O)N(R)—, and mixtures thereof, in which R, when present, is R8 or hydrogen. Especially preferred are alkyl ethoxylate surfactants with each R 8 being C8-C16 straight chain and/or branch chain alkyl and the number of ethyleneoxy groups s being from about 2 to about 6, preferably from about 2 to about 4, more preferably with R8 being C8-C15 alkyl and s being from about 2.25 to about 3.5. These nonionic surfactants are characterized by an HLB of from 6 to about 11, preferably from about 6.5 to about 9.5, and more preferably from about 7 to about 9. Nonlimiting examples of commercially available preferred surfactants are Neodol 91-2.5 (C9-C10 , s=2.7, HLB=8.5), Neodol 23-3 (C12-C13, s=2.9, HLB=7.9) and Neodol 25-3 (C12-C15, s=2.8, HLB=7.5. Compositions according to the present invention may further comprise a polar solvent. Non-limiting examples of polar solvents include: water, alcohols, glycols, polyglycols, ethers, carbonates, dibasic esters, ketones, other oxygenated solvents, and mixutures thereof. Further examples of alcohols include: C1-C126 alcohols, such as propanol, ethanol, isopropyl alcohol, etc . . . , benzyl alcohol, and diols such as 1,2-hexanediol. The Dowanol series by Dow Chemical are examples of glycols and polyglycols useful in the present invention, such as Dowanol TPM, TPnP, DPnB, DPnP, TPnB, PPh, DPM, DPMA, DB, and others. Further examples include propylene glycol, butylene glycol, polybutylene glycol and more hydrophobic glycols. Examples of carbonate solvents are ethylene, propylene and butylene carbonantes such as those available under the Jeffsol tradename. Polar solvents for the present invention can be further identified through their dispersive (δ D), polar (δP) and hydrogen bonding (δH) Hansen solubility parameters. Preferred polar solvents or polar solvent mixtures have fractional polar (fP) and fractional hydrogen bonding (fH) values of fP>0.02 and fH>0.10, where fP=δ P/(δD+δP+δH) and fH=δH/(δD+δP+δH), more preferably fp>0.05 and fH>0.20 , and most preferably fP>0.07 and fH>0.30. wherein the fabric article treating composition is capable of suspending water in a lipophilic fluid. 2. The fabric article treating composition according to claim 1 wherein said lipophilic fluid comprises from about 70% to about 99.99% by weight of the fabric article treating composition. 3. The fabric article treating composition according to claim 1 wherein said surfactant component comprises from about 0.001% to about 10% by weight of the fabric article treating composition. 4. The fabric article treating composition according to claim 1 wherein said (b) surfactant component comprises a surfactant selected from the group consisting of siloxane-based surfactants. 5. The fabric article treating composition according to claim 1 wherein said (b) surfactant component comprises a non-silicone surfactant selected from the group consisting of anionic, cationic, nonionic, zwitterionic surfactants and mixtures, thereof. 6. The fabric article treating composition according to claim 5 wherein said (b) surfactant component comprises an organosulfosuccinate. 7. The fabric article treating composition according to claim 5 wherein said (b) surfactant component comprises a betaine. 8. The fabric article treating composition according to claim 5 wherein said (b) surfactant component comprises an anionic surfactant. D″ is R6 2SiO2/2 wherein R6 is independently H, a monovalent hydrocarbon group or (CH2)l(C6H4)m(A)n—[(L)O—(A′) p—]q—(L′)rZ(G)s, wherein l is 1-10; m is 0 or 1; n is 0-5; o is 0-3; p is 0 or 1; q is 0-10; r is 0-3; s is 0-3;C6H4 is unsubstituted or substituted with a C1-10 alkyl or alkenyl; A and A′ are each independently a linking moiety representing an ester, a keto, an ether, a thio, an amido, an amino, a C1-4 fluoroalkyl, a C1-4 fluoroalkenyl, a branched or straight chained polyalkylene oxide, a phosphate, a sulfonyl, a sulfate, an ammonium, and mixtures thereof; L and L′ are each independently a C1-30 straight chained or branched alkyl or alkenyl or an aryl which is unsubstituted or substituted; Z is a hydrogen, carboxylic acid, a hydroxy, a phosphato, a phosphate ester, a sulfonyl, a sulfonate, a sulfate, a branched or straight-chained polyalkylene oxide, a nitryl, a glyceryl, an aryl unsubstituted or substituted with a C1-30alkyl or alkenyl, a carbohydrate unsubstituted or substituted with a C1-10alkyl or alkenyl or an ammonium; G is an anion or cation such as H+, Na+, Li+, K+, NH4 +, Ca+2, Mg+2, Cl−, Br−, I−, mesylate or tosylate. 10. The fabric article treating composition according to claim 6 wherein said organosulfosuccinate surfactant comprises a dialkylsulfosuccinate wherein the alkyl chains are from about C6 to about C20. 11. The fabric article treating composition according to claim 1 wherein said non-silicone additive (c) comprises a nitrogen-containing organic material comprising a quaternary surfactant. 12. The fabric article treating composition according to claim 11 wherein said quaternary surfactant comprises a hydrophobic quaternary compound having a total carbon number of between 20 and 50. 13. The fabric article treating composition according to claim 12 wherein the quaternary surfactant comprises Arquad 2C-75, Varisoft 222, Varisoft 110 and/or Bardac 22. 14. The fabric article treating composition according to claim 1 wherein said non-silicone additive (c) comprises a betaine and/or a zwitterionic surfactant. 15. The fabric article treating composition according to claim 1 wherein said non-silicone additive comprises from about 0.001% to about 10% by weight of the fabric article treating composition. 16. The fabric article treating composition according to claim 11 wherein said non-silicone additive (c) comprises a nitrogen-containing organic material. 17. The fabric article treating composition according to claim 12 wherein said nitrogen-containing organic material is selected from the group consisting of primary, secondary, tertiary amines, diamines, triamines, ethoxylated amines, amine oxides, amides, betaines, quaternary ammonium salts and mixtures thereof. 18. The fabric article treating composition according to claim 13 wherein said nitrogen-containing organic material comprises an alkyl amine. dodecylamine, stearylamine, oleylamine and mixtures thereof. 20. The fabric article treating composition according to claim 1 wherein said polar solvent comprises water. 21. The fabric article treating composition according to claim 1 wherein said composition further comprises a cleaning adjunct selected from the group consisting of: builders, additional surfactants, emulsifying agents, enzymes, bleach activators, bleach catalysts, bleach boosters, bleaches, alkalinity sources, antibacterial agent, colorants, perfume, lime soap dispersants, odor control agents, odor neutralizers, polymeric dye transfer inhibiting agents, crystal growth inhibitors, photobleaches, heavy metal ion sequestrants, anti-tarnishing agents, anti-microbial agents, anti-oxidants, anti-redeposition agents, soil release polymers, electrolytes, pH modifiers, thickeners, abrasives, divalent ions, metal ion salts, enzyme stabilizers, corrosion inhibitors, diamines, suds stabilizing polymers, solvents, process aids, fabric softening agents or actives, sizing agents, optical brighteners, hydrotropes and mixtures thereof. wherein the composition is capable of suspending water in a lipophilic fluid. 24. A detergent composition according to claim 23 wherein said surfactant component (a) comprises from about 1% to about 99% by weight of the detergent composition. 25. The detergent composition according to claim 24 wherein said surfactant component comprises a surfactant selected from the group consisting of siloxane-based surfactants, anionic surfactants, cationic surfactants, betaine or zwitterionic surfactants and mixtures thereof. 26. The detergent composition according to claim 23 wherein said composition has a flash point of greater than 100° F.
27. The detergent composition according to claim 23 wherein said composition has a flash point of greater than 140° F.
28. The detergent composition according to claim 23 wherein all of said composition additives do not co-distill with the lipophilic fluid or are water soluble at the level used in the fabric article treating composition. 29. The detergent composition according to claim 23 wherein all of said composition additives have boiling points that are at least 20 C. degrees above or below the lipophilic fluid. D″ is R6 2SiO2/2 wherein R6 is independently H, a monovalent hydrocarbon group or (CH2)l(C6H4)m(A)n—[(L)o—(A′)p—]q—(L′)rZ(G)s, wherein l is 1-10; m is 0 or 1; n is 0-5; o is 0-3; p is 0 or 1; q is 0-10; r is 0-3; s is 0-3; C6H4 is unsubstituted or substituted with a C1-10 alkyl or alkenyl; A and A′ are each independently a linking moiety representing an ester, a keto, an ether, a thio, an amido, an amino, a C1-4 fluoroalkyl, a C1-4 fluoroalkenyl, a branched or straight chained polyalkylene oxide, a phosphate, a sulfonyl, a sulfate, an ammonium, and mixtures thereof; L and L′ are each independently a C1-30 straight chained or branched alkyl or alkenyl or an aryl which is unsubstituted or substituted; Z is a hydrogen, carboxylic acid, a hydroxy, a phosphato, a phosphate ester, a sulfonyl, a sulfonate, a sulfate, a branched or straight-chained polyalkylene oxide, a nitryl, a glyceryl, an aryl unsubstituted or substituted with a C1-30alkyl or alkenyl, a carbohydrate unsubstituted or substituted with a C1-10alkyl or alkenyl or an ammonium; G is an anion or cation such as H+, Na+, Li+, K+, NH4 +, Ca+2, Mg+2, Cl−, Br−, I−, mesylate or tosylate. 31. The detergent composition according to claim 20 wherein said surfactant component comprises an organosulfosuccinate surfactant. 32. The detergent composition according to claim 23 wherein said organosulfosuccinate surfactant is a dialkylsulfosuccinate wherein the alkyl chains are from about C6 to about C20. 33. The fabric article treating composition according to claim 20 wherein said non-silicone additive is a nitrogen-containing organic material comprising a quaternary surfactant. 34. The fabric article treating composition according to claim 33 wherein said quaternary surfactant comprises a hydrophobic quaternary compound having a total carbon number of between 20 and 50. 35. The fabric article treating composition according to claim 34 wherein the quaternary surfactant comprises a dialkyldimethyl quaternary compound. 36. The fabric article treating composition according to claim 35 wherein the dialkyldimethyl quaternary compound comprises Arquad 2C-75, Varisoft 222, Varisoft 110 and/or Bardac 22. 37. The fabric article treating composition according to claim 20 wherein said non-silicone additive is a betaine or zwitterionic surfactant such as Schercotaine IAB, a sarcosinate or the acid thereof. 38. The detergent composition according to claim 19 wherein said non-silicone additive comprises from about 1% to about 99% by weight of the detergent composition. 39. The detergent composition according to claim 28 wherein said non-silicone additive comprises a nitrogen-containing organic material. 40. 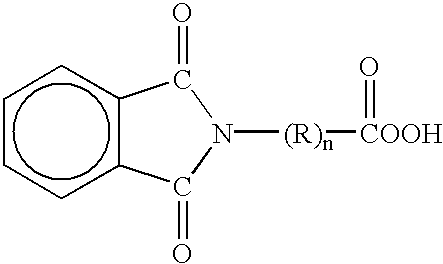 The detergent composition according to claim 29 wherein said nitrogen-containing organic material is selected from the group consisting of primary, secondary, tertiary amines, diamines, triamines, ethoxylated amines, amine oxides, amides, betaines, quaternary ammonium salts and mixtures thereof. 41. 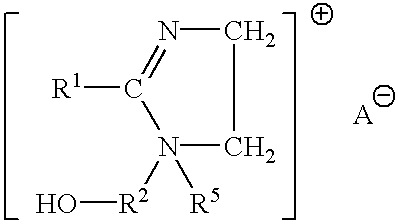 The detergent composition according to claim 30 wherein said nitrogen-containing organic material comprises an alkyl amine. 42. The detergent composition according to claim 31 wherein said nitrogen-containing organic material is selected from the group consisting of: dodecylamine, stearylamine, oleylamine and mixtures thereof. 43. The detergent composition according to claim 23 wherein said polar solvent comprises water, which comprises from about 1% to about 90% by weight of the detergent composition. e) optionally, from about 0.1% to about 50% by weight of the composition of water. f) optionally, from about 0.1% to about 50% by weight of the composition of water. 49. A fabric article treating composition according to claim 45. 50. A fabric article treating composition according to claim 46. 51. A fabric article treating composition according to claim 47. 52. A fabric article treating composition according to claim 48.
f) optionally, from about 0.1% to about 50% by weight of the composition a non-lipophilic fluid solvent. 54. A consumable detergent composition according to claim 23 comprising a cosolvent selected from the group consisting of ethanol, glycol ethers and mixtures thereof. 55. A method for preparation of a fabric article treating composition from a consumable detergent composition comprising the step of mixing a consumable detergent composition according to claim 23 with a discrete lipophilic fluid to form the fabric article treating composition. a) mixing a consumable detergent composition according to claim 23 with a discrete lipophilic fluid to form a fabric article treating composition; and contacting the fabric articles with the fabric article treating composition from step a), such that the fabric articles are treated. 57. A method for laundering fabric articles in need of treatment comprising the step of contacting the fabric articles with a consumable detergent composition according to claim 23 in the presence of a discrete lipophilic fluid. 58. A fabric article treated by the method according to claim 56. 59. A fabric article treated by the method according to claim 57. 60. A fabric article treating composition produced by the method according to claim 55.